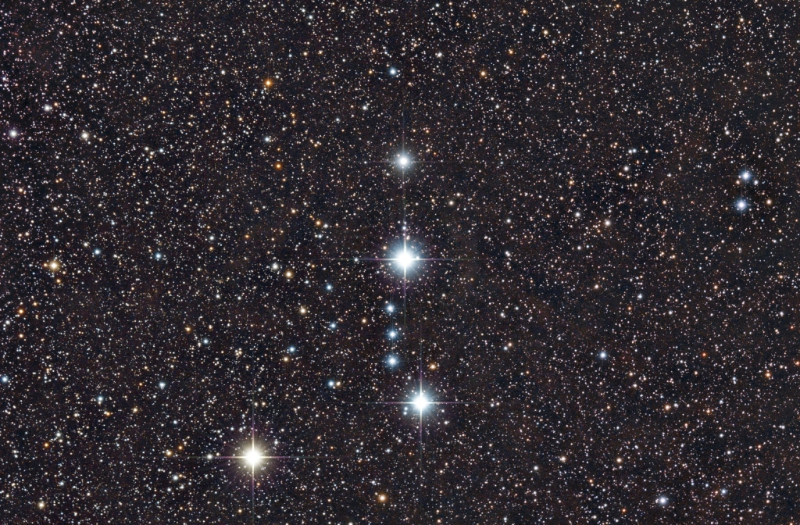 There is a large circular emission nebula in the head of Orion centred on Meissa. This huge H-alpha region lies just above Betelgeuse and Bellatrix and actually spans the region between those two stars – so this is a huge emission nebula, although it is also very faint. 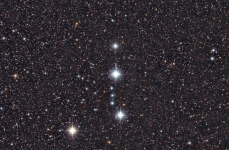 This image is centred on the star Meissa and although it is composed of 8 x 20-minute subs using all 3 cameras on the mini-WASP array – the emission nebulosity is barely visible. I do remember the difficulty in dragging out faint nebulosity with the Sky 90/M25C combo so this was not unexpected. I need to move the H-alpha filter in place on the Sky 90 and see if I can pick up more of the nebula. This will be next outing if the skies ever clear.